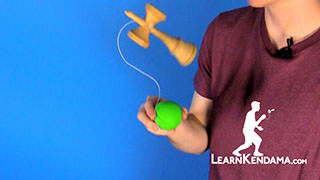 Learn the balance kendama trick, Tightrope. 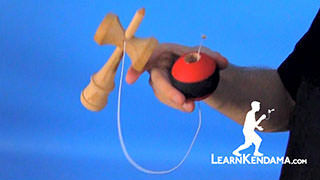 Tightrope Kendama TrickIn this tutorial we are going to be learning the Tightrope, which looks like this. Before I start this trick, I just want to let you guys know that this is an extremely hard trick and there is only a few people in the world that can do it. 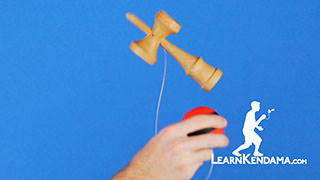 So if you practice and really learn this trick you will definitely stand out as a Kendama player. 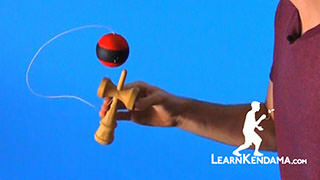 So before you start to learn the Tightrope. 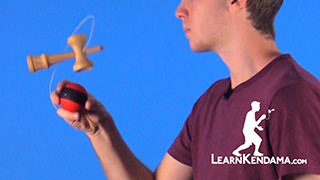 I would definitely recommend going back and looking at the Airplane Tutorial and the Border’s Balance tutorial, once you have those tricks down, you can start the tightrope. 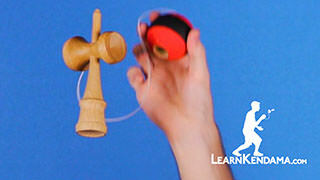 So to begin you are going to want to grab a used kendama that is pretty beat in and already has a dull flat spike. 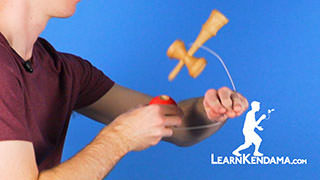 I know that I said in my Border’s Balance video that you do not necessarily need a flat spike, but for this trick you definitely do. So like the Border’s Balance we are going to start with the grip. 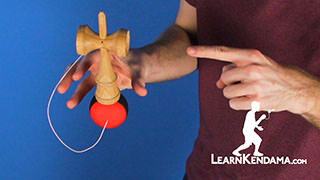 You are going to want to turn the hole in the tama toward your hand and leaving the string on the outside. 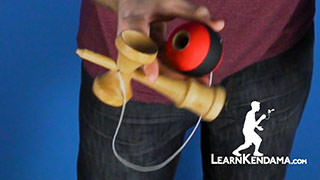 This allows you to pull the tightrope while leaving the string unobstructed. 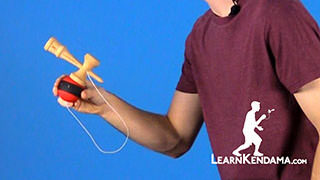 Now the next step is the pull up and this by far the most important part of the trick, just like in Airplane or Border’s Balance pull up you are going to do the same thing but you are going to add one more step and that step is grabbing the string at the same exact time as you pull up. 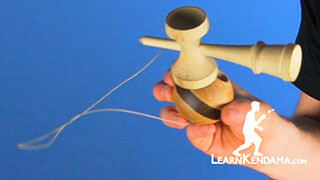 And you are going to want to grab the string at about 4 or 5 inches away from the tama. 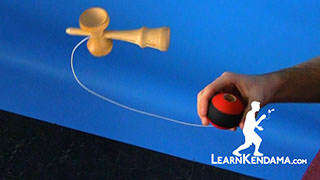 So it is all happens at the same exact time so you pull up and grab the string at the same time. 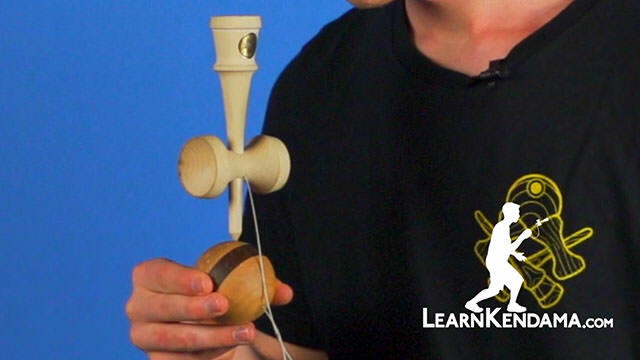 So once you grab the string you want to make sure that your pulling super super tight, you do not want there to be any give between your fingers and the tama, if there is any give at all in the string, the spike will bounce right off, you want it super tight. 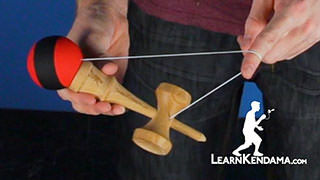 Now the next step is pulling the ken up so the spike gently curls over the top of the string you do not want it to fall you want it to gently curl over the top. To do this you will definitely want to practice your knees in the pull up and then perfecting all of the mechanics of the pull up in the first place. 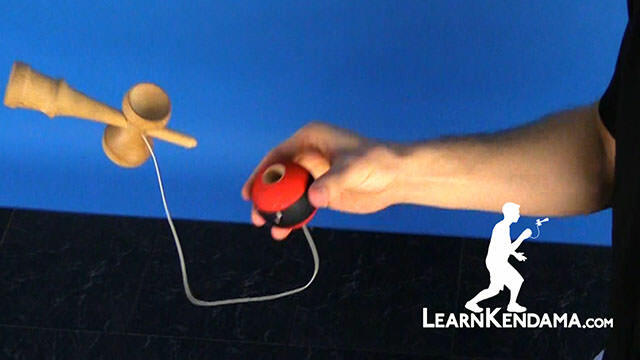 The last step is staring immensely at the tip of the spike so that it will meet the string, this really helps. I like to say you want to be the spike. 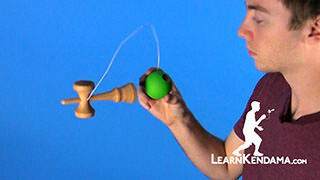 The next step is balancing, now this trick is especially hard because before you can even start to balance the tightrope you need to be able to make the spike meet the string. That is all in the first part I just talked about. 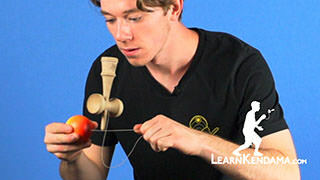 So now that you are able to consistently meet the spike to the string you can work on balancing. 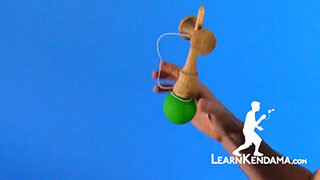 The first tip I have for balancing is keeping the tightrope perfectly level in every single direction. 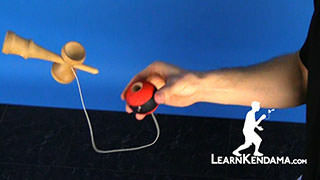 When I started this trick, it would always topple over to the side and I did not understand why, until I realized that my tightrope was not level. 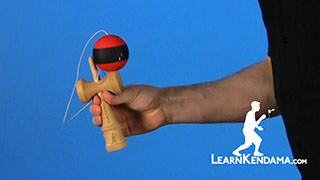 You need to make sure that your tightrope is perfectly level so that it balances. 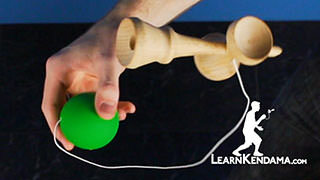 The last tip I have for balancing the tightrope is just like for the Border’s Balance you are going to want to use your whole entire body and knees, to make minute movements and balance and also just like the Border’s Balance you are going to want to stare at the base cup to give you hints on how to adjust the whole time. 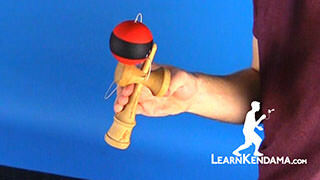 Once you are able to balance your tightrope, it is time to spike it. 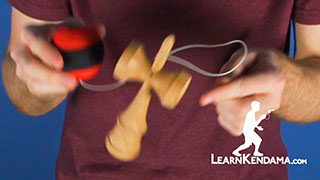 Again, just like the Border’s Balance you are going to use the same exact technique so you are going to want to drop the whole entire trick all of the sudden and then twist the tama so that the hole is facing up and spike it. And that is how you do the Tightrope.